Let us be a strategic extension of your HR department. We see ourselves as an extension of your HR team – proactively supporting your recruitment strategy as an ongoing business partner. We want to know your business so intricately so as to predict seasonal, locational and retention challenges before they become an issue. We aim to earn your trust as a strategic extension of your HR department, so that we can work with you to establish proactive workforce management plans to keep operations running smoothly all year round. Our service model is designed to support you in the achievement of your financial and operational goals and can be scaled to suit your current and future workforce requirements. We understand that no single approach can be applied to every workplace environment, so we aim to exceed your expectations by saving you time and money by allowing you to focus on what you do best – running your business. 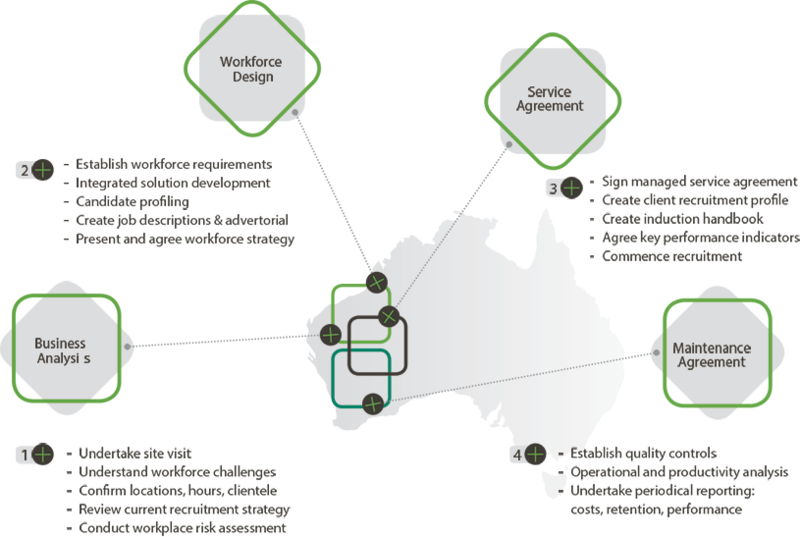 Book a meeting with one of our workforce solution strategists and learn how we can deliver innovative, cost effective labour hire solutions in your business.